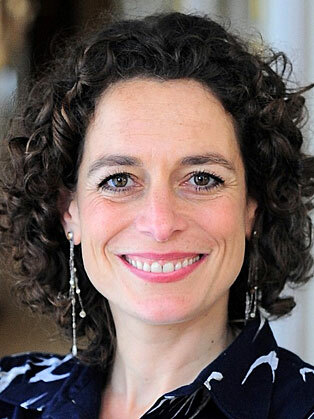 Alex Polizzi comes from a long line of hoteliers - her mother, the hotel designer Olga Polizzi, is the sister of Sir Rocco Forte, and daughter of Lord Forte. After reading English at Oxford University, Alex trained at the Mandarin Oriental in Hong Kong, worked for Marco Pierre White at the Criterion, and then worked at various Rocco Forte hotels around the world. Before taking over and stamping their mark on the Endsleigh, Alex and Olga Polizzi had already launched the highly praised Hotel Tresanton at St Mawes in Cornwall. Alex then took on another project: becoming the host of highly acclaimed show, The Hotel Inspectorin 2008. With several series of The Hotel Inspector firmly under her belt, Alex then ventured to lead the hit series The Fixer on BBC2 in January 2012. Most recently, Spectacular Spain with Alex Polizzi aired on Channel 5 in Spring 2017. Having mastered television, Alex has published her first book, sharing her advice on how to enjoy the very best hotels. Alongside Alex's television work, in recent years, she has become a popular key note speaker.